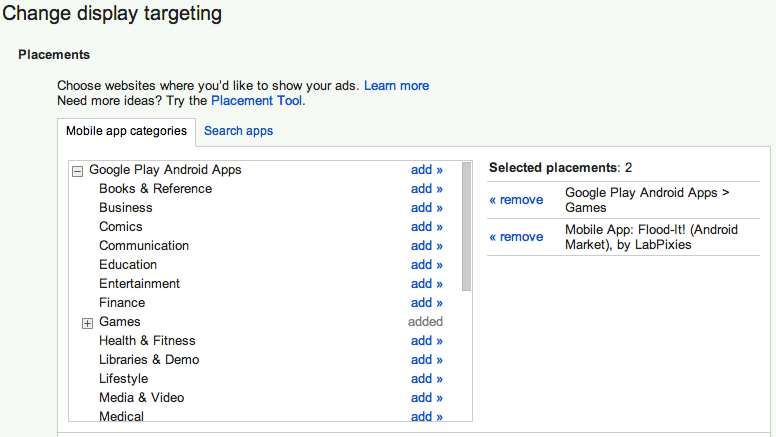 Google AdWords has finally added a method within AdWords to target mobile apps with AdWords ads through AdMob. AdMob is a mobile app ad network Google purchased a while back. 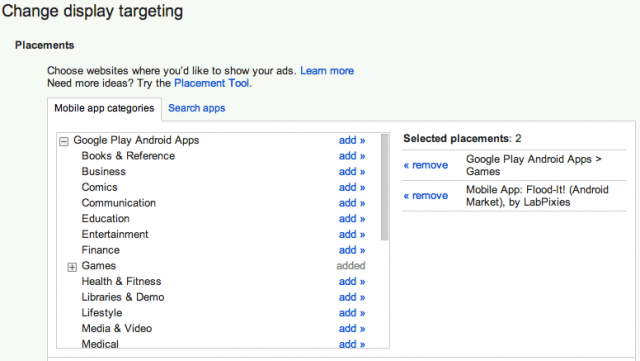 Google has finally integrated it to a level where AdWords advertisers can easily build AdWords campaigns to target ads within apps. This is great for both advertisers and publishers. Advertisers can more easily build mobile app ads and publishers can expect more ad inventory competing in the space. 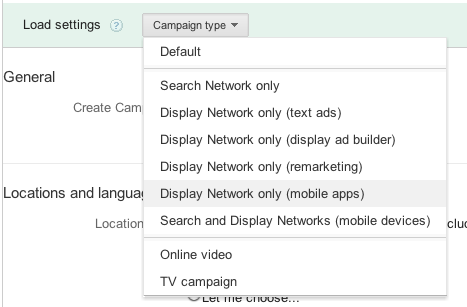 Google said you can find a new campaign type is available in AdWords by selecting "new campaign" from the Campaigns tab, and then “Display Network only (mobile apps)”. You can also target by specific smartphone or tablet device models (e.g. Samsung Galaxy) or by targeting a particular manufacturer brand. You can also target by categories available in the app store or Android marketplace.